The Whisky Vault, est. 2008, is an online rare whisky specialist store providing you with top quality rare and collectable whiskies direct to your front door. The Whisky Vault was born from ideas created by Philip and Richard Hawley, a Father/Son relationship, based in Yorkshire, UK. An incredibly enthusiastic business, the project is currently run as an entirely family-oriented project. With over one thousand items in our catalogue, including over 900 single malts, there are expressions of whisky that are very rare and indeed sought after. We endeavour to keep the site exciting and fresh and therefore are consistently adding new products, as and when we acquire them. We continue to be recognised as one of the market leaders in terms of our ability to acquire exceptional malts, with expressions in our ranks that date back as far as the early 20th Century. 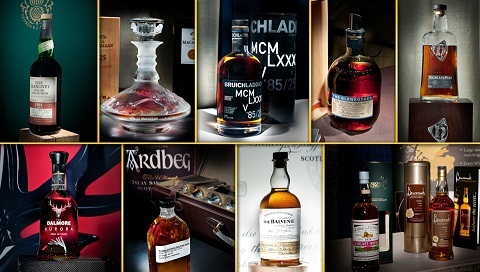 Our forte is supplying unique, rare and collectable specimens to the world’s army of whisky lovers. Having a customer services background, we understand the importance of fair, quality and efficient service. We adhere to this policy relentlessly. We have detailed photographs of every bottle we have for sale, instead of using stock photos, so you can examine each product as you would expect to receive it. Any product showing in stock on the site is most definitely in stock, we would never take money for items we cannot ship immediately. If you are a whisky enthusiast don’t lose the opportunity to attend – Nth 2013 Experience in Las Vegas, where you can experience 4 days of non-stop luxury whisky tasting at its best. 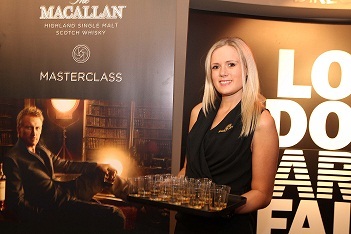 Starting with Glen Canyon – The World’s First Ultimate Whisky Tasting in the Grand Canyon on Wednesday 27, February 2013. Followed the next day by a round of Golf with the Masters (such as Richard Patterson, 3rd generation master blender) at Bear’s Best one of Las Vegas’ premium Golf course. Other Whisky events continue to build up to the Nth 2013 show on March 1st and 2nd where you will be sampling drams of the world’s most unique, finest premium whiskies from the top-tier brands and conversing with and learning from whisky aficionados, high-end connoisseurs, and collectors. Also at this year’s event will be present the SUPERSTARS (Valued at $700,000) – Royal Salute Tribute to Honor bottle, The Dalmore Constellation collection and Johnnie Walker Diamond Jubilee bottle, amongst other high-end expressions. If that isn’t enough in itself you also have the luxury of dining, shopping, and playing at one of the top resorts in the world’s entertainment playground, Las Vegas, Nevada. There are many options available that offer different levels of experience and exclusivity to the Nth 2013 show on March 1st and 2nd. Please visit universalwhiskyexperience.com for tickets and full show information. Guests of the ‘Nth 2013 Show’ will also have the opportunity to purchase and attend from a choice of Master classes scheduled for Saturday 2nd March 2013. Each class will be conducted by world-renowned brand ambassadors and include discussions and tasting flights of some of the rarest and finest premium whiskies. Those attending designjunction*, The Liverpool Biennial** and most recently The London Art Fair*** visited The Macallan Masterclass lounge in large numbers. Not only did they sample the new luxury single malt whisky, The Macallan Gold but they also found out more about The Macallan’s third edition of the successful Masters of Photography Series, involving iconic photographer Annie Leibovitz. 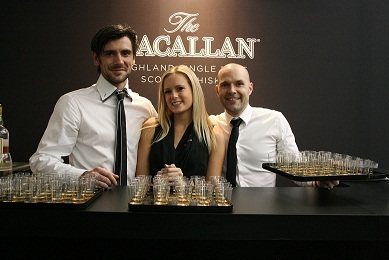 The Macallan insists upon Natural Colour. It is the interaction of spirit and wood alone which delivers the rich variety of colour, aroma and taste evident through out the range. The UKwill be the first market to take the new range with the launch of Gold in Autumn 2012, exclusively for 6 months. The 1824 Series will then roll out in Europe and Canada plus key emerging territories in Central and Eastern Europe, Latin America and Africa from Spring 2013. Bob Dalgarno, The Macallan Whisky Maker, has created four expressions by identifying the natural colour formed during maturation in different casks types to create the character informed by these colours. The expressions are Gold, Amber, Sienna and Ruby, all names reflecting the actual colour of the whiskies in the range, but also describing naturally occurring minerals and metals. This innovative approach to whisky making is the first to derive the final character from the natural colours drawn into The Macallan from the oak sherry casks over the years of maturation. It has allowed Bob Dalgarno to assess the broadest range of casks delivering an unrivalled range of natural colours. Scotch Whisky is worth more than £4 billion to the Scottish economy and the industry has reached record levels of productivity, research published today reveals. “Scotch Whisky & Scotland’s Economy – A 100 Year Blend” was commissioned by the Scotch Whisky Association (SWA) to mark its Centenary. The research by 4-consulting found that the industry is experiencing a second ‘golden age’. Inward investment and the development of international markets have helped deliver spectacular performance last seen in the 1970s. The total impact of Scotch Whisky on Scotland’s economy is £4.2 billion – £2.9 billion from the industry itself and £1.3 billion through the industry’s supply chain. It supports around 36,000 jobs in the industry and across the supply chain in Scotland. Productivity has accelerated to £275,000 for each industry employee. Scotch Whisky outperforms most other industries, with employees adding 57% more value per head than workers in the City of London. By contrast, in 1912, when the SWA was founded, the industry employed 5,000 people in Scotland and generated £3 million in Gross Value Added (GVA). Scotch Whisky continues to be the main contributor to the Scottish Government’s drive for export growth. Exports are worth more than £4 billion annually, ahead of refined petroleum at £3 billion and business services worth £2.5 billion. The research found that Scotch Whisky underpins the expansion of Scotland’s total international export markets, accounting for 55% of the growth since 2002. The rising export value of Scotch Whisky is contributing to its success. Even during the current global downturn, the average value of each bottle exported has risen every year since 2007. Investment in production and marketing by multinational and domestic companies with a global reach has given Scotch Whisky better access to international markets. According to the research, inward investment has restored the industry to the “spectacular performance” last seen in the 1970s. A further investment of £2 billion in Scotland in the next few years has been committed by Scotch Whisky producers. The research also reveals the industry’s rich heritage. Scotch Whisky’s importance in helping rebuild the UK’s economy after World War II was noted in a draft white paper presented to Westminster by the Minister of Food in 1946. The Chancellor of the Exchequer in 1950 identified “one or two special items such as whisky” as established exports to North America. Gavin Hewitt, chief executive of the Scotch Whisky Association, said: “This new research is further evidence of the key role Scotch Whisky plays in the Scottish economy. The demand for Scotch Whisky is coming increasingly from the world’s fastest growing markets. In comparison with other Scottish industries, Scotch Whisky already enjoys an enviable export position across a wide spread of emerging economies.